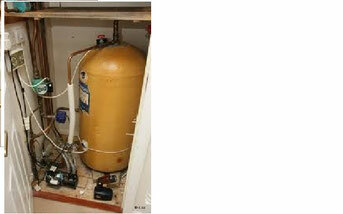 Typical tank fed cylinder installation (unpressurised). 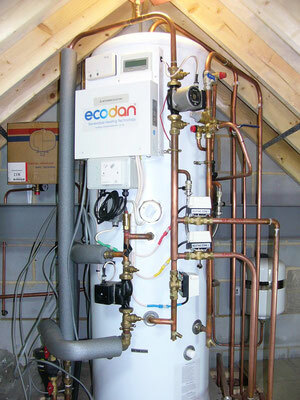 Most UK houses have a hot water storage vessel (cylinder), often located in an airing cupboard, and cold header tank above which delivers hot water to outlets at low pressure. Storage cylinder is poorly insulated leading to high heat losses. Storage capacity can be inadequate for the demands of modern bathroom and kitchen equipment. Risk of freezing and or overflowing of header tank located in cold loft spaces, and risk of contamination of storage vessel. Low water pressure causes power showers, ceramic disc taps etc to malfunction. European and American systems have long featured a mains pressure storage cylinder, which avoids all of the above problems. With this type the cylinder is piped directly onto the cold supply pipe and the hot tap can then be as powerful as the cold. Central heating boilers but NOT solid fuel types. CRD Birtles Ltd have been fitting pressurised cylinders for over 10 years, and with current models offering multi input versatility high efficiency systems can readily be assembled. We offer designs from all manufacturers. 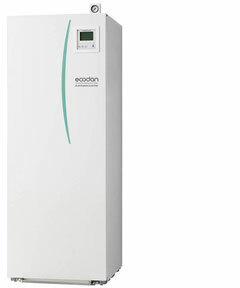 Mitsubishi Electric for whom we are accredited installers, offer factory assembled, pre-plumbed and pre-wired models to integrate superbly with their Ecodan range of air source heat pumps.